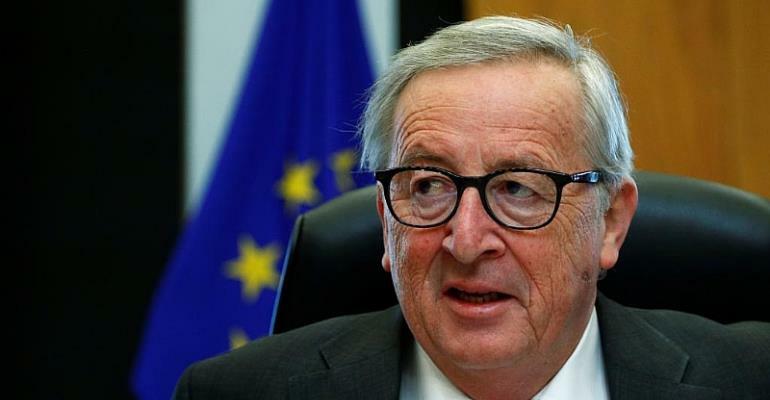 “With our British friends we have had a lot of patience, but even patience is running out,” Juncker told Italian television station Rai 1 on Sunday evening. British MPs will today vote on possible options for the future relationship between Britain and the EU as well as ways to stop Brexit altogether or prevent a no-deal departure. Last week a motion to give the public a vote to confirm or reject any Brexit deal passed by parliament won the highest number of votes. While important, that result does not make any clearer what sort of deal parliament would prefer. A plan for Britain to remain in some kind of customs union with the European Union received the second highest number of votes, shedding light on what might be the preferred future relationship with the EU. However, Theresa May has repeatedly reminded MPs that any decision on Britain's future relationship with the European Union is dependent on the withdrawal deal first being signed. And there are other complications. Agreeing to a customs union could trigger a mass walk out by conservative ministers. It's possible that the general disagreement could force a general election – amid splits in both major parties. Among other new motions for debate today, a call for a public vote to prevent a no- deal exit could garner significant support, as could a vote on parliamentary supremacy. The latter would offer a series of steps to prevent the UK leaving the EU without a deal, including requiring the government to seek an extension if a deal has not been agreed two days before the deadline for leaving. At the moment, the EU has set a deadline of April 12 for a decision with two likely options: Britain leaves with no deal at all, or agrees to a lengthy extension to allow time for a new approach.